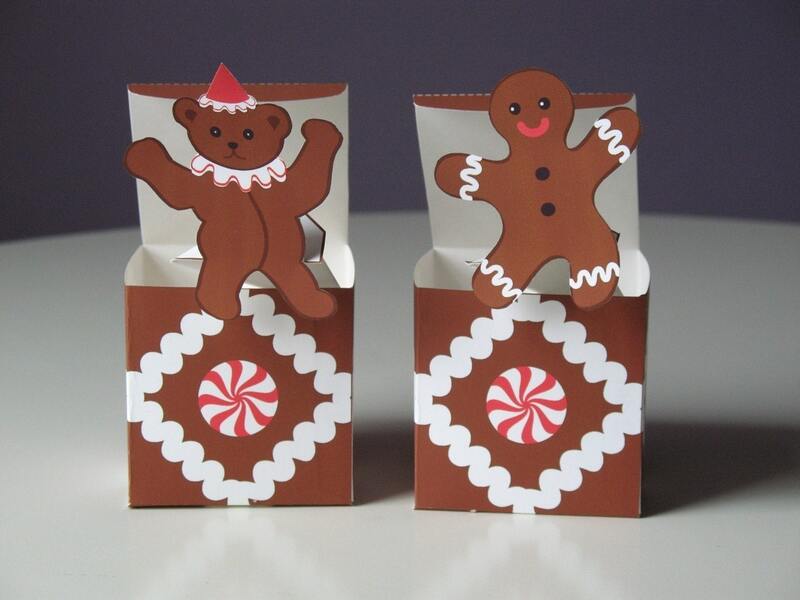 Fun and convenient Teddy Bear and Gingerbread Man Jack in the boxes! Just purchase and immediately download the file. Print out as many as you want! As often as you want! This two page PDF file contains two Jack in the Box toy crafts that I designed from my original drawings. Once you have purchased and downloaded the PDF file open it and print it out. Print on 8.5"x11" (letter size) paper. Heavy paper works best. I used a matte presentation paper. 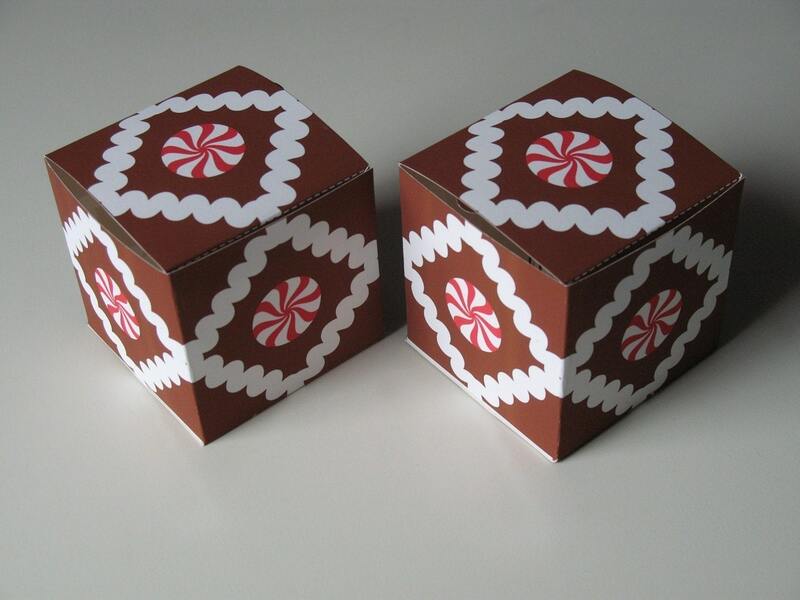 Next follow the simple instructions to create your paper Jack in the Boxes, "Teddy Bear" and "Gingerbread Man". Just cut out, fold and glue (a glue stick works great). Each assembled closed box is a 2.5 inch cube. Open the lid and watch them come popping out. Makes a fun gift! Fun to make, fun to play with! Also makes a great decoration for parties and the holidays! Adorable craft and excellent directions for assembling. The Pop Up Boxes were shipped with in minutes of ordering. Will do business here again!